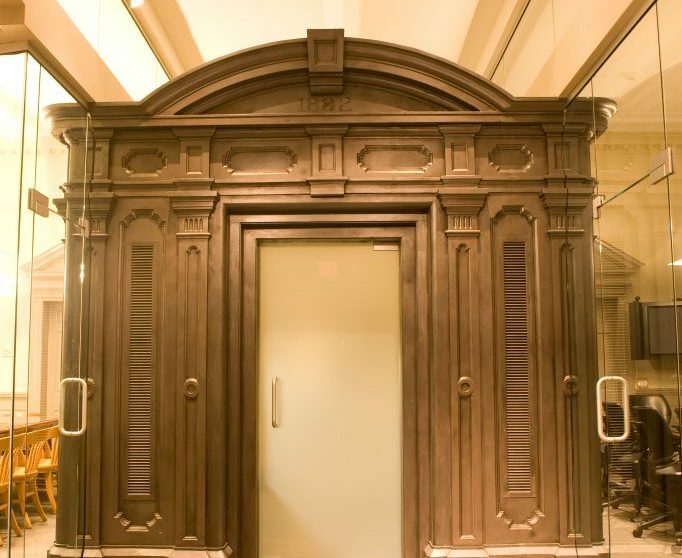 NCA’s adaptive reuse of a bank enhanced the secondary entrance with an entablature modeled after the main entrance and replaced the drive-up teller window with period windows. 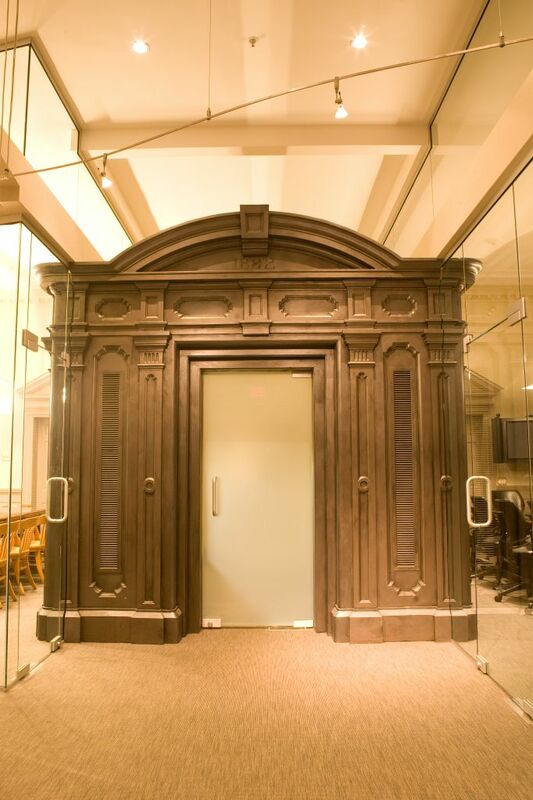 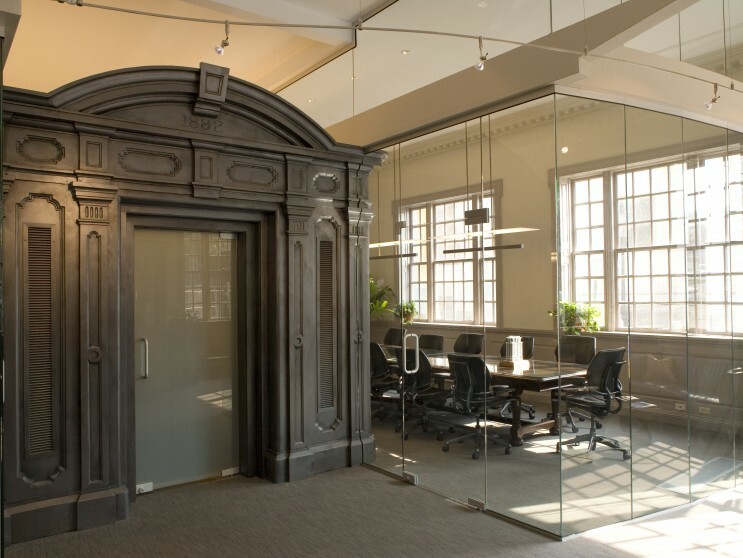 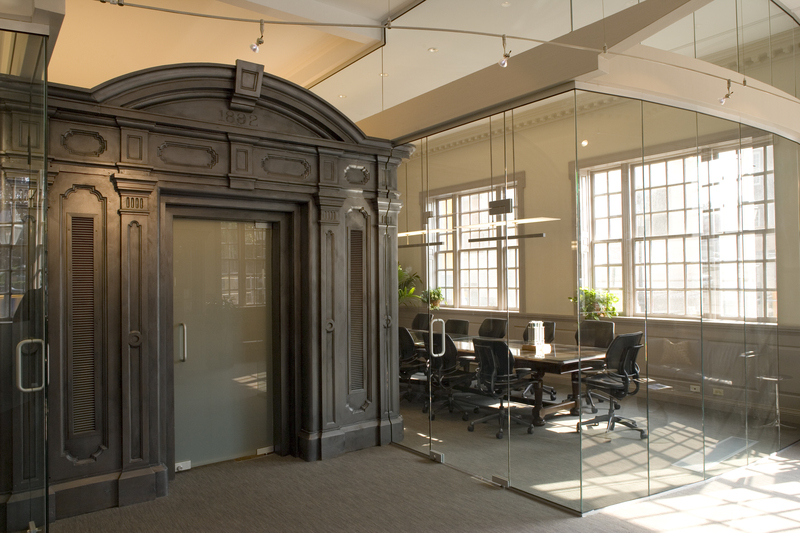 The 40-ton safe was removed and the cast iron encasement was moved to the reception area. 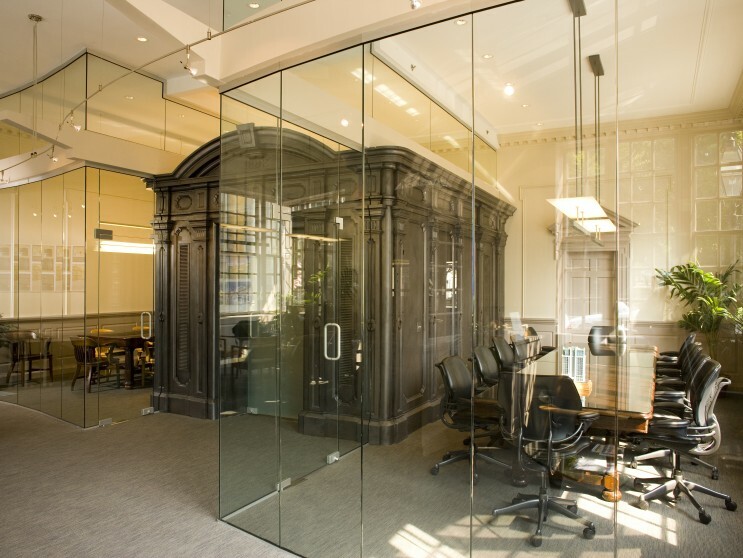 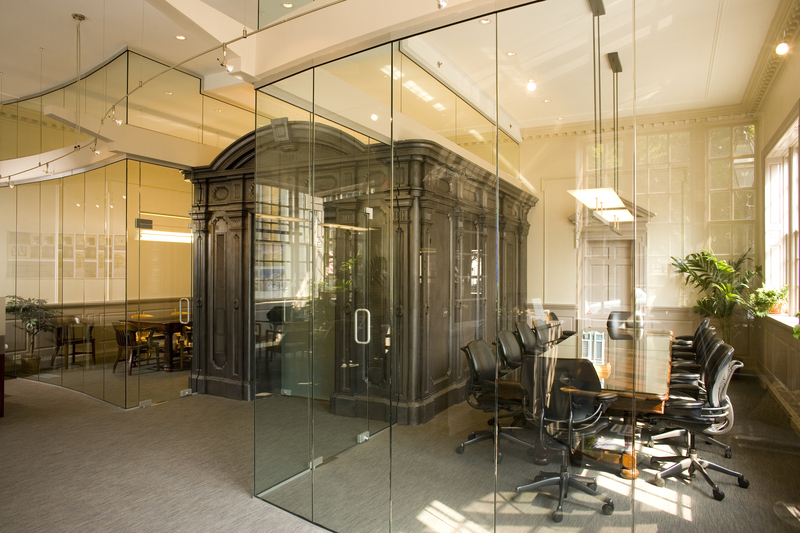 Glass walls form conference rooms flanking the reconstructed vault. 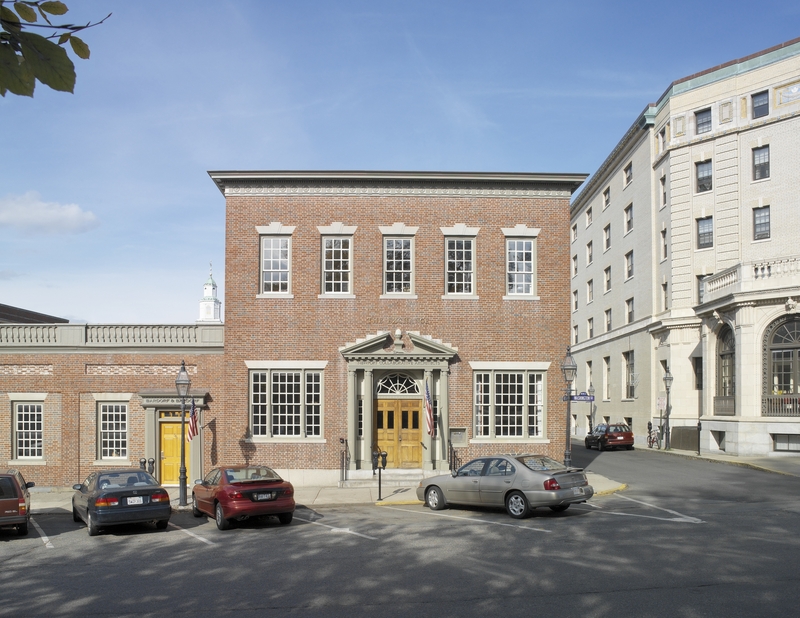 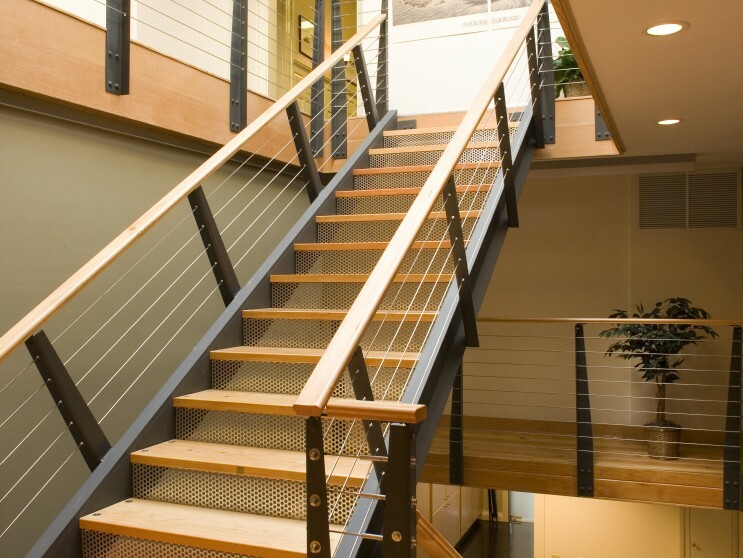 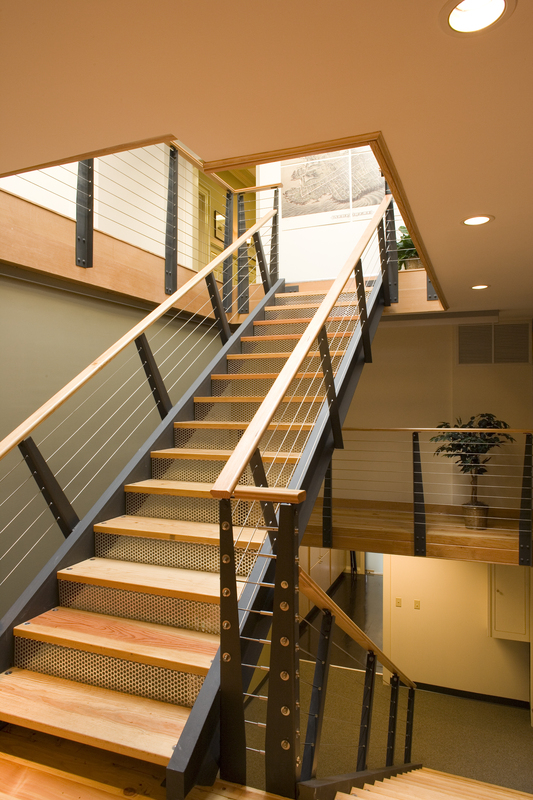 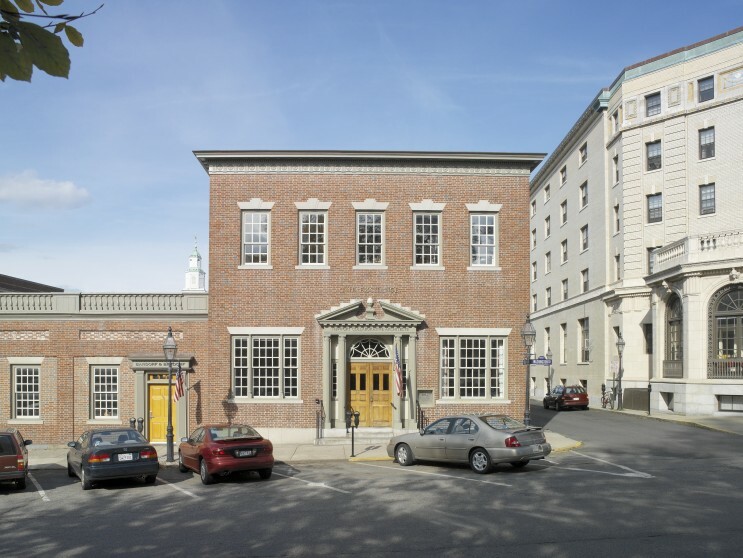 The commercial restoration project received a Preserve RI Preservation Awardand Rhode Island Monthly Silver Award.